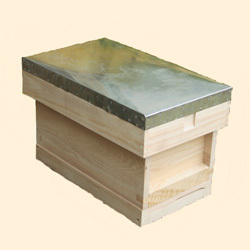 British National 6 Frame Bee Hive with Standard Brood box. These are made just like a full size National bee hive except they hold 6 frames. 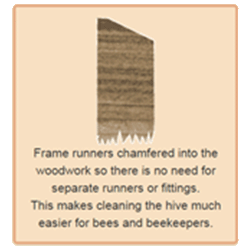 These have all the benefits and uses of a nucleus hive but extra components are available enabling the hive to be built up to a full colony if desired. 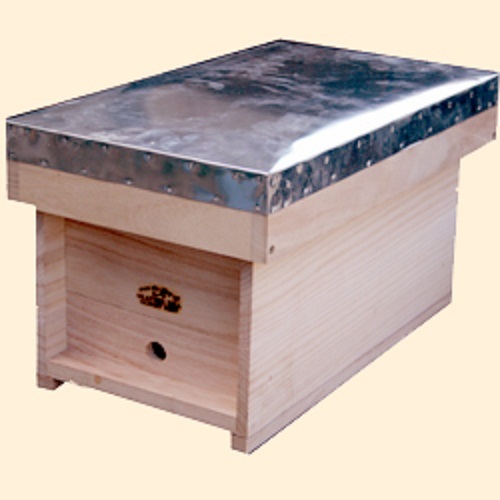 With only half size boxes to lift, this half hive system appeals to those wishing to avoid weight lifting. 1 Dummy Board + 5 Hoffman self spacing frames, fully assembled, fitted with sheets of wired beeswax foundation and ready to use can be added.